Apologies for the radio silence this week so far, friends. We were busy having a blast hosting some of C's family this weekend and I got a little behind on things for the ole blog. We traipsed all over Philly in some not-so-nice, unseasonably cold and windy weather, but thoroughly enjoyed it just the same. What that means I'm just now getting to my first post of the week (which is totally fine in my book). Life is meant to be enjoyed, right? This past weekend marked both the start of a new month and the loss of daylight (ack! ), and it means that we're well on our way to one of the busiest times of the year. I don't know about you, but my brain starts to go a little haywire this time of year with Thanksgiving and Christmas prep, holiday parties, traveling, gift-giving, etc. Time starts to slip away and before I know it, we're into the new year! I always need a little extra help staying organized during these two months, so I decided to do myself a favor and made myself some tools to help stave off the craziness. 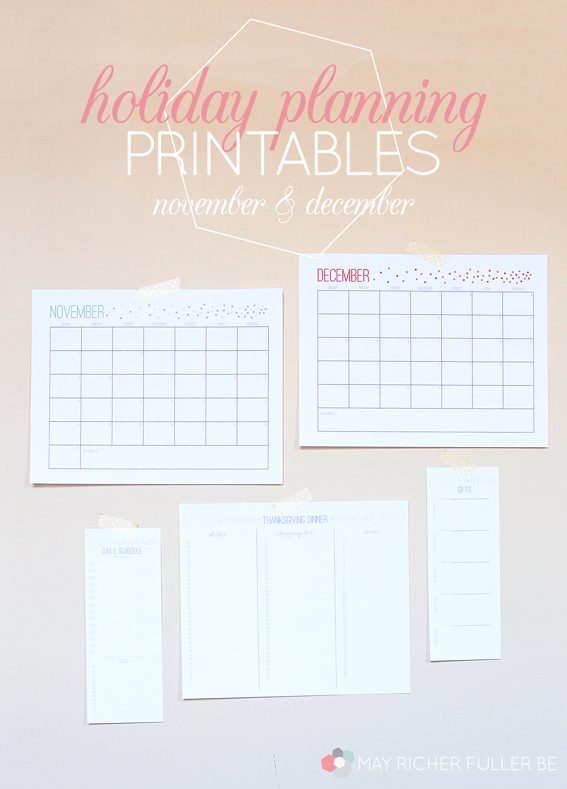 I thought maybe some of y'all might be feeling the same way, so I'm excited to share the launch of a brand new set of FREE holiday planning printables! There are some cute little pieces here that I hope will be useful for you - and me - over the next 60 days. There's a link to download them at the end of the post. 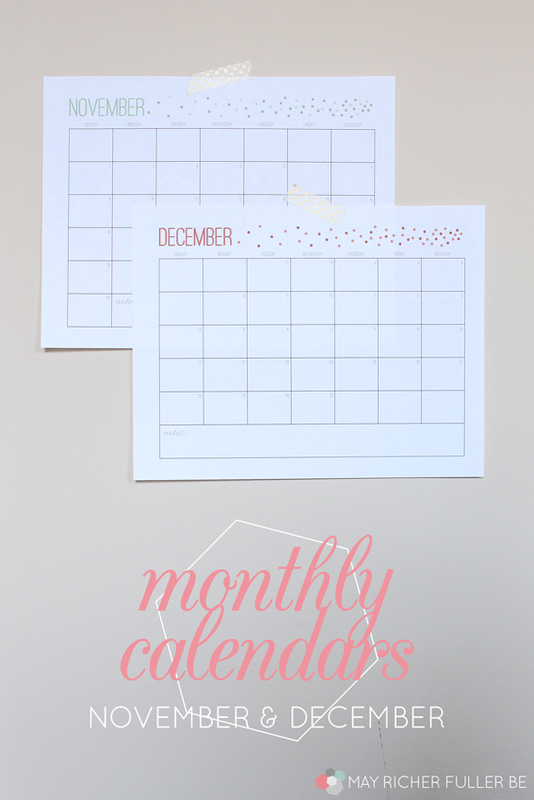 Let's start with the basics: monthly calendars for November and December. 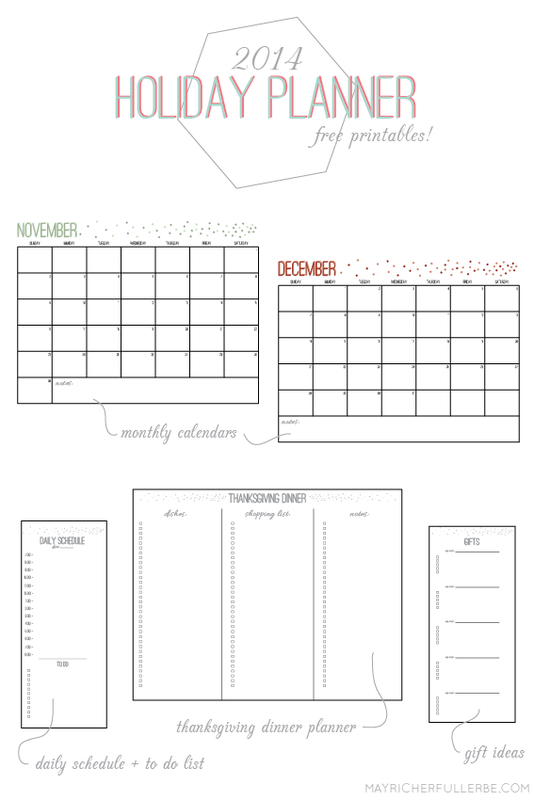 These at-a-glance calendars help with the big picture stuff. I'm using mine to keep track of when we're traveling, due dates for blog projects, upcoming parties and regular life things :). Next up? A daily schedule and to-do list. 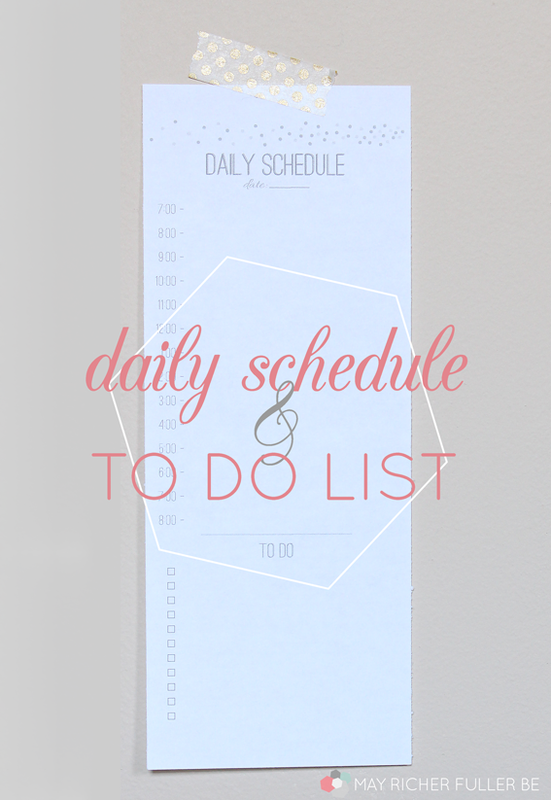 I find that I don't need a daily schedule or to-do list every day, but there are days when I feel like I'm going to lose it if I don't make a detailed plan and list off what I need to get done. Sometimes there's nothing more satisfying than checking off those boxes. If you feel that way too, all you need to do is print one of these out on those harried days, write the date at the top and go to town. Plan away! 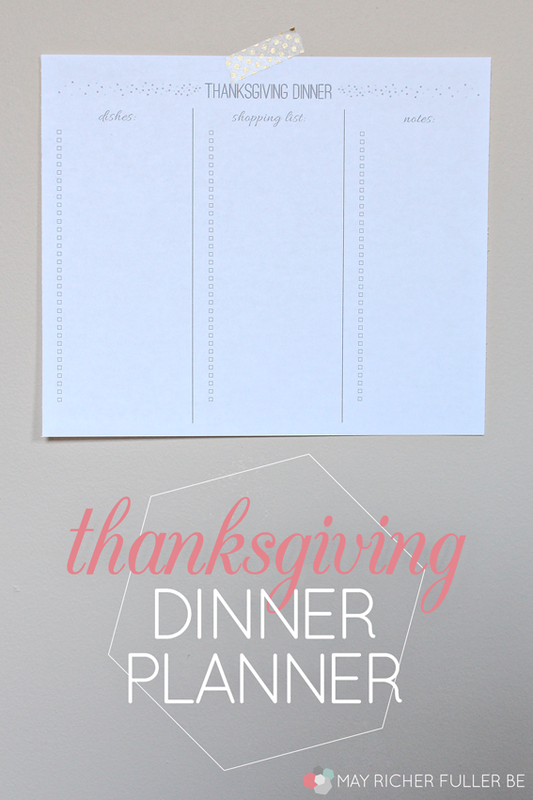 Thanksgiving is a unique holiday that's pretty heavily focused on food (duh) and calls for a special planner. There's a lot to keep track of, so I'm hoping this guy will help keep things straight with its designated places for listing the dishes, items to shop for and notes! 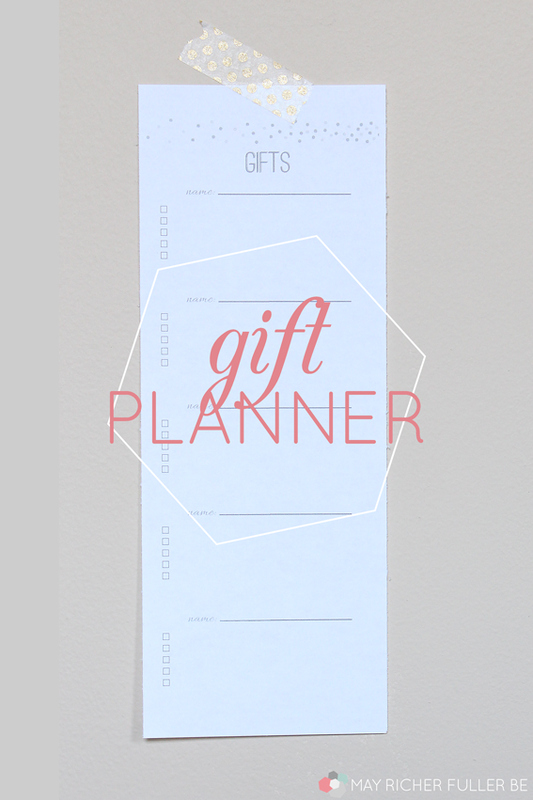 Lastly, in an effort to get my shopping done early, I created a printable for organizing gift buying/giving. Never hurts to get a head start! I hope these will be helpful in planning out the coming months. I know they'll help me! You can download the whole set HERE. It's a PDF that you can print at home. Print out as many as you'd like (for personal use only). Here's to successful planning and organizing over the next two months!